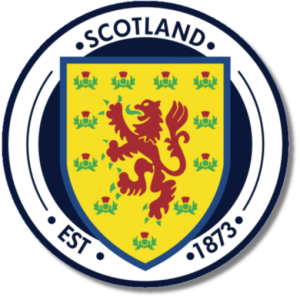 Add your Scotland Football Badge stampette logo to your Facebook and Twitter page and show your support for The Tartan Army. Scotland have qualified for the FIFA World Cup Finals 8 times, and UEFA European Football Championship twice. Scotland play their home matched at Hampden Park, Glasgow.